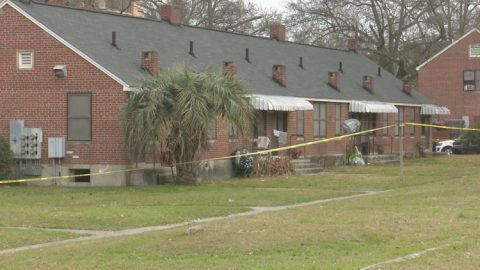 Our city has been shaken up by the tragedy that struck last month at Allen Benedict Court, after “severe and lethal” conditions at the complex resulted in the deaths of two residents—Calvin Witherspoon, Jr. and Derrick Caldwell Roper—and the displacement of over 400 former occupants. An investigation of the conditions at Allen Benedict Court by the Columbia Fire Department revealed nearly two dozen housing violations, including lethal levels of natural gas and carbon monoxide in multiple units. In 2018, the CHA responded to at least eight gas leaks at the site, and City Councilmen believe this disaster was entirely preventable. Over the years, I have represented many people who depended on the Columbia Housing Authority for lodging, most of whom could not find acceptable accommodations anywhere else in the city. It personally and professionally disturbs me to see how signs and signals of danger to the Allen Benedict Court residents were overlooked by CHA personnel. In addition to deaths and injuries, displaced residents are moved between hotels and are unsure when, or where, they will find a place to settle. The thought of being ordered to leave your home and never return is unfathomable and yet, for hundreds of members of our community, this is their reality. This situation is urgent and needs to be immediately rectified. Appropriate compensation needs to be provided to those who have been injured and displaced, and there needs to be a full-scale investigation to ensure this type of tragedy never again happens in our hometown. In the meantime, we, as a community must do what we can to help our neighbors through this crisis. Find out how you can help here. At Mike Kelly Law Group, we emphasize Personal Injury, Workers’ Compensation, and Social Security Disability as our primary practice areas, but I must say, helping my clients get their much needed Social Security Disability benefits is the most satisfying aspect of my work. Contrary to popular belief, obtaining Social Security Disability benefits is extremely difficult. To be eligible for the insurance, the standard is that someone’s disability must impede their ability to perform not just their previous job duties, but ANY work that exists in the national economy—even if that type of work is not available. So, although there are people who draw Social Security Disability that may not be entitled to it, for each illegitimate recipient there are ten people who desperately need—but were denied—disability. Much of the work that goes into preparing for a Social Security hearing is obtaining, reviewing, and assessing key medical documents and relevant vocational information, and the likelihood of winning a disability case is substantially higher for claimants who have hired legal representation. If you or a loved one has been wrongfully denied benefits, it is worthwhile to talk to an attorney regarding the appeals process. At Mike Kelly Law Group, we have two experienced attorneys, Lisa Cotten and myself, and a team of exceptional paralegals who can help answer your questions about Social Security Disability. Give us a call at 1-866-692-0123 for an initial consultation at no cost. We’re here for the people of South Carolina. On Monday, January 21st, we will celebrate the legacy of one of America’s greatest heroes—Dr. Martin Luther King, Jr. Growing up in the South, I attended segregated schools and lived in a region that was very much a civil rights battlefield. And so, I will never forget watching, at age eleven, as Dr. King delivered his famous “I Have a Dream” speech, leaving me deeply inspired even then. Since 1963, Dr. Martin Luther King, Jr. has been one of my personal heroes, and I have gone on to study not only his most renowned delivery but many of his other writings and teachings as well. I have traveled to Memphis, TN, to visit the National Civil Rights Museum at the Lorraine Motel, where Dr. King spent his final hours, and have even had the honor of meeting his son, Martin Luther King, III. Like many federal holidays, far too many of us view MLK Day as nothing more than a day off. But it is vital—in today’s social climate as much as ever—that we recognize and appreciate the significance of this holiday. We must remember the change that Dr. King’s activism inspired in our nation and how far our society has come in the past fifty years. Most importantly, we must recognize that our society still has a long way to go—that Dr. King’s work is not finished—and refuse to be complacent with the status quo. Let us honor his life and legacy by continuing to strive toward making Dr. King’s dream a reality for future generations and by lifting our nation to a place where all men are not only created equal, but where all people are treated, respected, and able to live as equals. The legal profession has long been sensationalized in literature, television, and film, painting the public’s perception of trial work as riveting and fast-paced and trial lawyers as dramatic and unflappable—ready for anything the other side might throw at them. And while this perception is not necessarily inaccurate when it comes to trying cases, the majority of a litigator’s work consists of tedious and thorough investigation, planning, strategizing, and preparation. As Mike Kelly Law Group’s litigation team gears up for several trials set to move forward in 2019, I thought I’d share with you all a glimpse into the less glamorous—but no less grueling—work that makes up a normal day for a trial attorney. Depending on the complexity of the issues at hand, the cumulative hours that our attorneys and paralegals put into preparing a single case for trial may amount to weeks, or even months, of work. Most of this time is spent conducting written discovery—a process through which parties exchange and gather evidence—as well as taking depositions, meeting and preparing with clients, consulting with expert witnesses, arguing pre-trial motions, and working through scheduling and evidentiary matters with the court in anticipation of trial. The trial itself is merely the tip of the iceberg in terms of a trial lawyer’s job. However, because most legal dramas focus on the excitement of trial, many people do not understand the sheer amount of work lawyers put into a case before ever rising to give an opening statement. And although our attorneys prepare every case as though it will proceed before a jury, the reality is that, due to changes in South Carolina’s rules governing civil suits, cases now tend to settle more often than not, and trials have become somewhat of a rarity. Mastering trial techniques requires experience and practice, and the decline in trials has created a generation of “trial lawyers” who have only tried a couple of cases, if any at all. For this reason, if you have a case that may end up in the courtroom, do your homework to make sure you engage a real, honest-to-goodness trial lawyer who will go the distance to get the results you deserve. 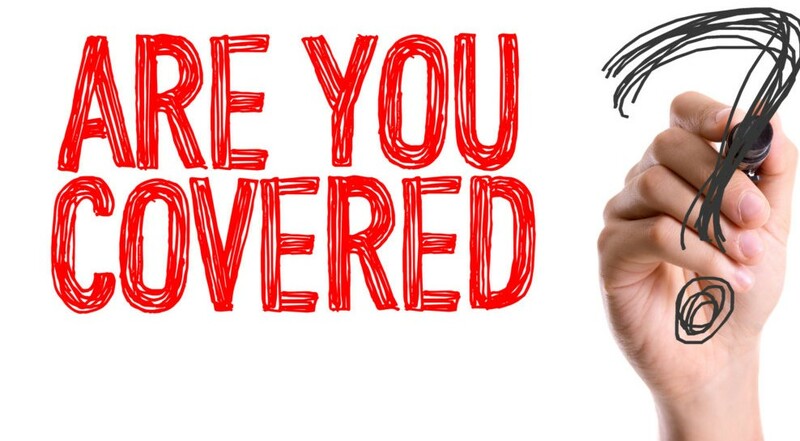 KellyGram – Are You Covered? Car accidents are a fact of life. In the United States alone, approximately 4.6 million people are injured in collisions each year—that’s an average of one injury every seven seconds. Still, no one ever expects to be t-boned on their way to work or rear-ended at a red light; if that were the case, there would be no cars on the road. But regardless of our own experience or precaution, when we share the streets with other drivers, the potential for injury is always there. So we practice defensive driving, wear our seatbelts, hope for the best, and prepare for the worst—by investing in underinsured motorist coverage. Over the years, Mike Kelly Law Group has helped countless clients recover damages after suffering serious or catastrophic injury in a motor vehicle accident. But too often, especially in recent years as the costs of health care have increased, we consult with victims who have suffered permanent injury and/or have incurred medical bills exceeding five and six figures, only to break the news that they will likely only recover the minimum liability limits of $25,000.00 carried by the at-fault driver. That’s it. In South Carolina, drivers are required to carry a mere $25,000.00 of bodily injury liability coverage, an amount that is more often than not inadequate in today’s society. What makes cases such as these especially heart-breaking is that these victims not only suffer bodily loss but financial devastation—injuries lead to stacking doctor’s bills and missed work. While the first blow may not be preventable, the second is. Underinsured motorist coverage, or UIM, is available to every person with car insurance. UIM can help cover losses incurred due to medical bills, lost income, and pain and suffering caused by another driver when your damages exceed the driver’s liability limits. This type of coverage is inexpensive, and although it is optional, it is vital and worth every penny. Just as you cannot trust that other drivers will not make a life-altering mistake, you cannot trust that they have the means to reimburse you when they do make that mistake. Make it your New Year’s resolution to protect yourself. Review your insurance policy, and if you don’t have UIM coverage, call your insurance agent today. Spend time in prayer and meditation during these last quiet days of 2018. Personally, I tend to first reflect on the blessings the year brought me, then review its obstacles and my response to them. Next, I outline, in writing, the challenges I know the upcoming year has in store, and if I have solutions or other inspiration for tackling those issues, I write them down beside the corresponding challenge. At the end of 2019, I will look back to evaluate how well I handled each challenge and look to my mistakes as a learning experience. Expect the unexpected. 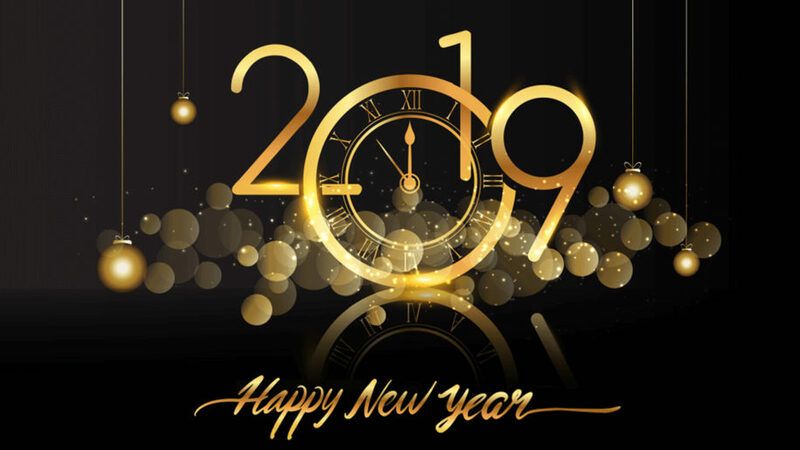 As sure as my name is Mike Kelly, we won’t get too far into the New Year before some event will leave us stunned or turned upside-down when we least expect it, whether positively or negatively so. 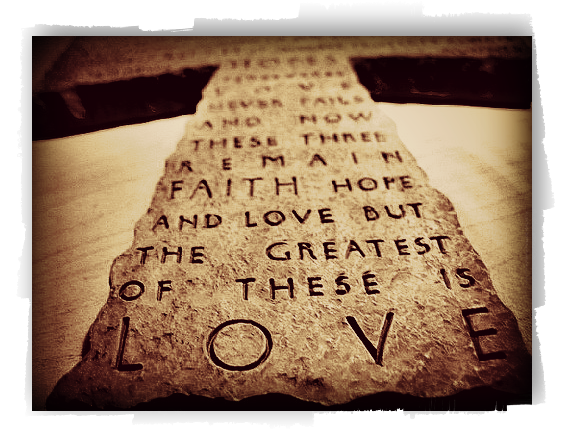 When such a shock inevitably strikes, that’s when my faith is put to the test. As I’ve gotten older, and hopefully wiser, I have learned to take things in stride. I take a deep breath and clear my mind, maybe go into a quiet room, and try to come to grips with whatever it is I am facing. Rather than making resolutions, which are flimsy and destined to be broken, sign a written pledge to yourself. I do this each year and place the pledge at the corner of my desk as a constant reminder. For example, for many years I pledged to improve my golf game by a certain number of strokes… until I finally learned that I don’t have time to devote to such a lost cause LOL! So, this year, I pledged to learn a new skill or improve on an old one, and I focused on typing proficiency. Typing, at least, helps me make a living; golf…not so much! I also write a pledge to eliminate a bad habit. There are several under consideration for 2019, and I’m sure my staff, my wife, and my children have quite a few suggestions! Currently, though, the leading contender is my habit of watching CNN for several hours before bed—let’s just say, lately, it doesn’t make for a good night’s sleep! I am certain that 2019 will bring its fair share of challenges, but I look forward to the excitement in store, beginning with the grand opening of MKLG’s new Columbia office, located at 1523 Huger Street, Suite A, on January 2nd. Please feel free to drop by for a cup of coffee, a tour of the facilities, or just to say hello! In the meantime, I wish you a healthy, happy, and prosperous New Year! 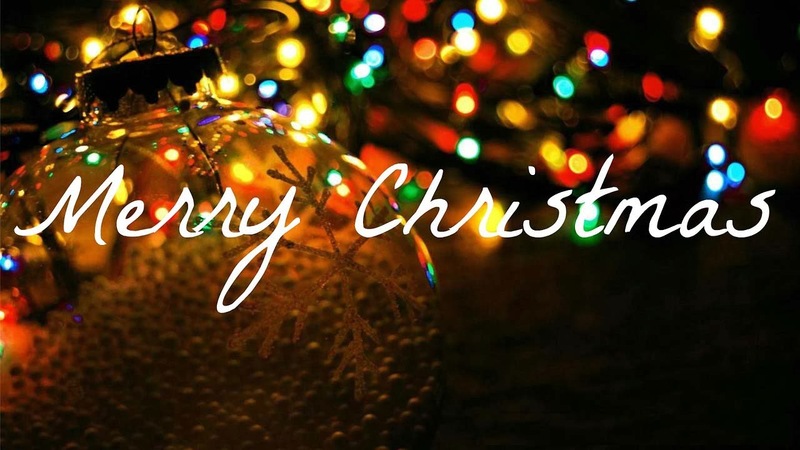 KellyGram – Joy to the World! Christmastime is upon us and, around the world, it is a most magical time of year. Being of the Christian faith, for me, Christmas has always been, above all else, a religious celebration commemorating the birth of our Savior. But the holiday’s underlying sentiments of gratitude, generosity, humility, and grace are core human values, making the Christmas tradition one that spans borders, cultures, and belief systems. From a global perspective, the holiday season inspires unity and warmth toward our fellow man and serves as a reminder that, regardless of our backgrounds, we share an inherent common denominator. Scaling back closer to home, my thoughts at Christmastime gravitate toward immense thankfulness for the many blessings bestowed upon me in this lifetime and toward my family members—both old and new—including my family at Mike Kelly Law Group. In the midst of the hustle and bustle of the holiday season, I encourage you to find a quiet place to reflect and feel gratitude for all that you have and to enjoy your family traditions, or to create new ones. I also encourage you to pause to consider those who are less fortunate and, where possible, invite them to share in your merriment and holiday cheer. But most importantly, come January, let us all strive to maintain the same generous, humble, and joyous spirit that we feel at Christmastime. KellyGram – Gee, the Traffic is Terrific! Fatigued Driving: In addition to our usual responsibilities, the holidays bring more social engagements and household chores that keep us on the go and, often, unrested. But fatigued driving is dangerous—someone who is operating their car without having had sufficient sleep is three times more likely to be involved in a crash. Impaired Driving: For some, the holiday spirit can inspire overindulgence on holiday spirits. On average, during the last two weeks of December, 40% of traffic fatalities stem from crashes involving alcohol-impaired drivers. So, especially during this time, stay mindful of your surroundings and know that you may very well be sharing the road with an impaired driver. Distracted Driving: Whether it’s due to texting warm holiday wishes to friends, checking social media, or gazing at Christmas lights, statistics show that, during the winter holiday, distracted driving increases by one-third. So put away your smartphone and be on the lookout for inattentive travelers! As I usually spend the week between Christmas and New Year’s in Myrtle Beach, working from the Mike Kelly Law Group office on the Grand Strand, I am witness to these driving don’ts on a grand scale. Myrtle Beach is no longer just a summertime resort—more and more people are bringing their families to the area for Christmas every year. The swell of tourism means that the road is filled with drivers who are not familiar with the roadways, who are looking at maps on their smartphones, and who may have had a few too many as sometimes happens in Myrtle Beach. So, although my cautionary advice may seem exaggerated to some, I understand firsthand the dangers of these driving behaviors and assure you that it is not. With that said, no matter how far away you roam this holiday season, if you plan to be on the road, please exercise caution and stay attentive! Let’s make this holiday a safe and happy one! KellyGram – BIG NEWS! New Year, New Home! Without a doubt, 2018 has been a whirlwind of new blessings and exciting changes, particularly with regard to my personal life. Ready for more, I am pleased to announce that 2019 is teeing up to be another transformative year for me, this time, professionally. Mike Kelly Law Group is on the move—moving up, moving forward, and moving our Columbia location! Beginning January 2, 2019, MKLG will be sporting a new address—1523 Huger Street, Suite A—conveniently located across the street from our current office. Because the law and the legal industry are ever-evolving, so is the Mike Kelly Law Group. Every day, we strive to be more knowledgeable, more resourceful, and more effective than the day before. Naturally, as the firm has grown and changed, so has its needs. Our new office is optimally configured to support MKLG’s current operations, allowing us to offer even better and more efficient legal services. For nearly two decades, the office at 500 Taylor Street has served me well, and some of my fondest and proudest memories reside there. But what I love most about the space is the group of brilliant, charismatic, and passionate men and women I share it with—my MKLG family—and they’re all coming with me! My team and I are thrilled to launch this next chapter together, and the move is just the tip of the iceberg. There are more, exciting changes in store for 2019, so stay tuned! In the meantime, and always, we’re here for the people of South Carolina!